In March, ICBC rolled out a new driver’s license testing process for seniors over the age of 80. ICBC together with RoadSafetyBC and Vancouver’s GF Strong Rehabilitation Centre devised an updated framework for senior driver assessments for a Class 5 license. The new framework requires that applicable senior drivers submit a physician’s note (or a driver medical examination report) every two years to RoadSafetyBC to prove they are medically competent to drive. In addition, drivers must undertake a more robust on-road test, and have RoadSafetyBC determine whether or not they have passed the test. Previously, the licensing office was responsible for the latter task. 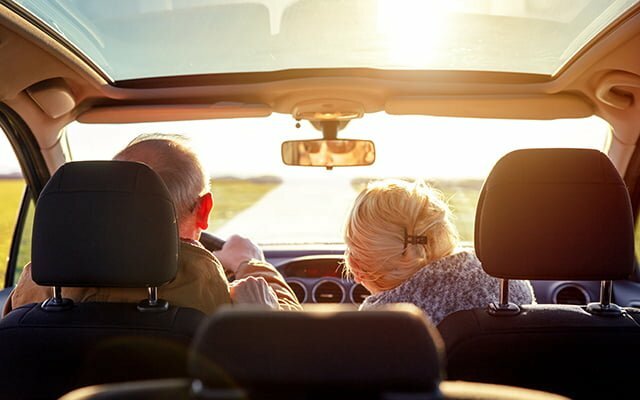 In light of the new development, and the fact that the entire senior segment accounts for approximately 16% of the local population, Park Insurance is providing some important driver safety tips to keep everyone safer on the road. To provide senior drivers with guidance on the new testing process, ICBC is working with the Council of Senior Citizens’ Organizations of B.C. to provide information sessions in the months ahead. If you reside in the Greater Vancouver area and you happen to find this article in time, there is an information session on Tuesday April 24 (2018) being held in Port Coquitlam. You can register for this session at experienceit.ca (using the code #29294). However, there’s a good chance that you’ll find this article after the fact, but fret not, as you can simply visit the RoadSafetyBC website to access some very helpful information on not just the new update, but all matters relevant to senior driving rules and regulations. You may or may not be surprised to find out that your physical fitness has a direct impact on your ability to drive safely. Research shows that the improved flexibility that comes from regular exercise better allows those of advanced age to turn their heads to monitor blind spots and scan their environment when making a turn. In addition, improved strength will help provide better control of the steering wheel and vehicle, while enhanced coordination contributes to better braking and turning. While walking at least 30 minutes per day will help, consider working with a fitness trainer and/or physiotherapist to improve your overall physical fitness, and ultimately your performance on the road. A lot can change over six months, especially when it comes to hearing and vision loss. Given that both have a direct impact on your ability to drive safely, you will need to have your hearing and vision tested twice per year. Vision testing is obviously of particular importance, especially for seniors that need to drive in the later hours of the day. It’s a fact that night vision gets significantly worse with age as retina rods begin to diminish, the lens gets cloudier, and pupil becomes smaller. ICBC does not currently track statistics on how poor night vision contributes to motor vehicle accidents (MVA) but they do state that those over the age of 75 (where night vision is a major problem) have a crash rate equal to that of new drivers between the ages of 16 and 24. If you have a chronic health condition with symptoms that can impact your driving, you need to make sure that you’re doing all that you can to keep these in check. For example, if a preexisting condition results in drowsiness, dizziness, or puts you at risk for a seizure, you must follow your physician prescribed treatment plan to the tee, and provide full disclosure to RoadSafetyBC. That being said, you must also make sure that any OTC medications and prescriptions allow you to drive safely without exhibiting side effects that can put you or others on the road in danger. Read all labels and brochures and note if there is anything that states you should not operate a vehicle within a set number of hours after consumption. This one applies to everyone, but absolutely bears repeating for seniors who have other road safety concerns (listed above) to consider. Distracted driving is an epidemic in British Columbia, and you certainly don’t want to contribute to the unfortunate statistics. Review this list of common driver distractions, and follow up with a good hard look to see if you may be guilty of these less common driver distractions, which includes speaking to your fellow passengers and more. Not being able to drive is one of the biggest fears felt by seniors. The loss of independence can lead to depression and can negatively impact other aspects of one’s life. By following the above, you can increase your number of years on the road significantly. That being said, you should be honest with yourself when it comes to current and future limitations. Even if you receive a passing grade regarding night vision, if you exhibit any signs that you should not be driving at night, with a subsequent loss of confidence in doing so, then avoid it. Also pay close attention to the weather forecast. If you were uncomfortable driving in the rain, sleet, or snow in your 40s or 50s, then you should avoid it in your senior years. It’s also worth noting that you can work on these limitations, just like anyone who is concerned about their road safety abilities. For example, you can work with a physical therapist (as per item #2 above) to improve your on-road fitness, update your eyewear prescription (as per item #3 above), and take a refresher course for senior drivers from a driving school near you. In conclusion, remember to update your automobile insurance to make sure you have adequate coverage. Consult with an independent insurance broker who will assess all that you need to consider as a senior driver in BC. Contact Park Insurance at (604) 659-3130 or toll-free at 1-800-663-3739.